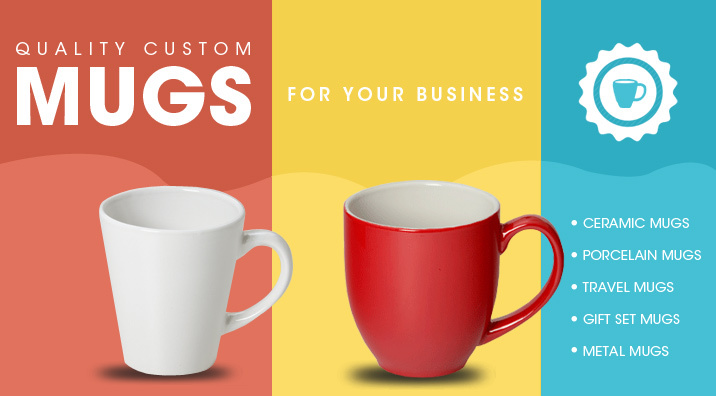 Here at Planet Mugs, we provide an extensive range of quality cups and mugs that we supply directly to you complete with your custom logo branding. By utilising professional printing techniques, we apply your unique personalised design onto the drinking mug or cup units of your choice. 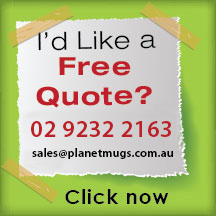 Planet Mugs is Australia’s most trusted supplier of cheap promotional mugs. 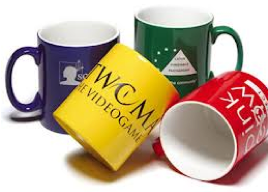 We can offer great low prices for bulk orders of mugs and cups because of our years of production experience. Each unit comes expertly branded with your logo or slogan for any event or campaign. We produce all the products displayed on our website and will deliver them to you within two weeks of a purchase order (including custom branding) within Australia. Quicker turnaround times available upon request. 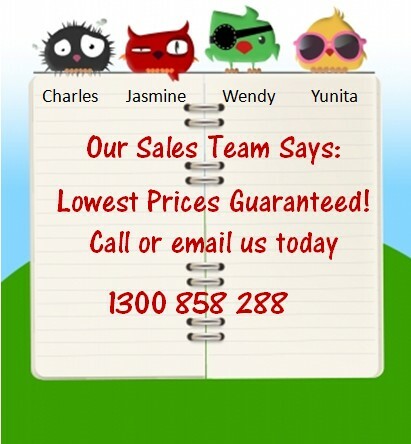 We keep all products stocked locally in Queensland and New South Wales. Having products nearby allows us to provide speedy delivery across the East Coast and the rest of the country. Including custom mugs for Melbourne, Sydney, Brisbane, Adelaide, Darwin, Hobart, Perth, and Canberra -- as well as everywhere in between. We have every type of mug and cup to suit any and all situations including basic kitchen ceramic mugs, premium porcelain mugs, cheap promotional mugs, travel mugs, express 24-hour mugs, and countless additional options. 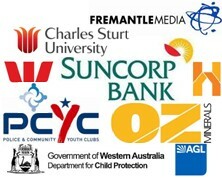 It is hard to visualise what your logo will look like. Thats why we are giving you 2 free mock ups. The cheapest, fastest, quality mugs with flair! 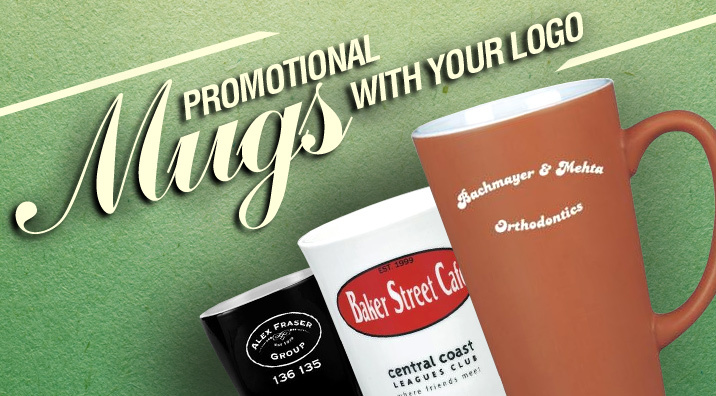 A well-branded cup is an ideal way to have your logo or message displayed to your guests, clients or colleagues. 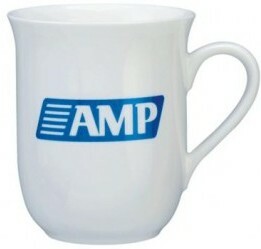 Every morning in homes and offices around Australia thousands of personalised mugs will be used by happy cup owners. 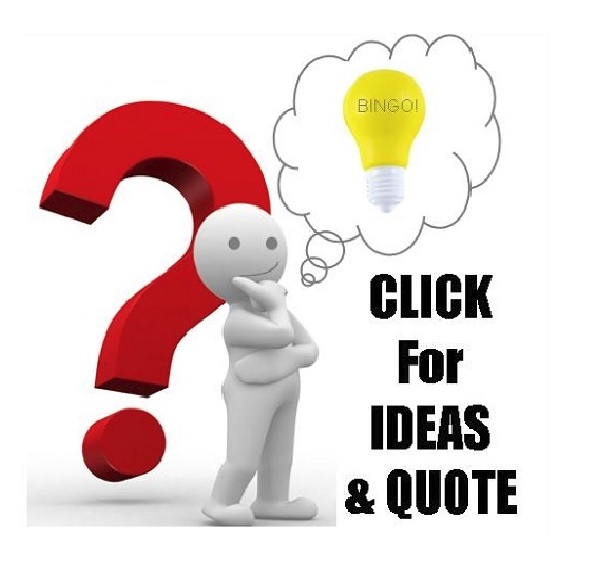 Get your message to this audience when we brand your design directly onto a bulk order of promotional mugs. Mugs are daily use items that recipients utilise whether it's a hot summers day or a cold winter night. Popular beverages people enjoy served in cups include coffee, tea, hot chocolate, soup, infused or fruit tea, noodle mixes, chai tea, mocha, warm or chilled water and so much more. 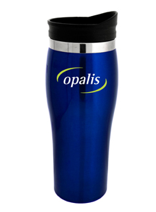 Get branded mugs as part of your corporate marketing mix and your recipients will appreciate your thoughtfulness every day. Our mugs make popular promotional products for use at a variety of locations and events such as Marketing Campaigns | Tip On Gifts | Restaurants | Cafes | Corporate Gifts | Staff Gifts | Exhibitions | Expos | Promotional Rewards | etc. Because mugs and cups are versatile products, they suit organisations of all kinds including Businesses | Schools | Universities | Charities | Community Groups | and more. 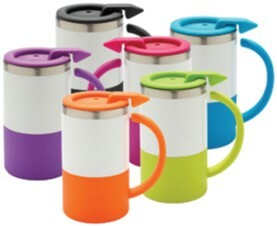 Planet Mugs supplies cups of all sizes from a compact espresso cup all the way to a maxi size travel mug; we supply customised versions of various drinkware sizes. Our standard cup capacity is roughly 340ml, and it is the perfect size for most users. We also have super giant sized mugs that go all the way up to 700ml in both ceramic and travel mug styles. How are ceramic mugs made? What is a Porcelain Mug? What is a Stoneware Mug? What is a Bone China Mug?